If you’re considering purchasing new commercial security cameras or upgrading from your existing models in the Los Angeles, Orange County or Riverside County area, there are certain key features to seek out as a business owner. Whether it’s clearer images you’re searching for, better range or more convenience, options exist for you to improve the video surveillance at your business. If you currently have analog security cameras, you may be limited with the amount of features you receive, such as digital zoom. You are most likely not seeing a clear image with your analog system than you could be with IP/megapixel surveillance system. There are many positive aspects to analog security cameras such as price and flexibility of design, but as a business, IP / megapixel security cameras will provide superior quality and more functionality for the things that are important to you. This is not only a feature and a service that can be added to your overall video surveillance system, it’s also a new way to manage and oversee your business from on-the-go. This is a must if you’re looking to maximize your commercial security cameras, reduce costs and increase efficiency. Train your employees, improve customer experiences, monitor openings and closings to ensure that your employees are safe, monitor sensitive areas where valuable items or confidential records are kept—all from a distance. These 4 features are certainly not the only things to consider when it comes to commercial security cameras, but they provide a solid foundation to get started. 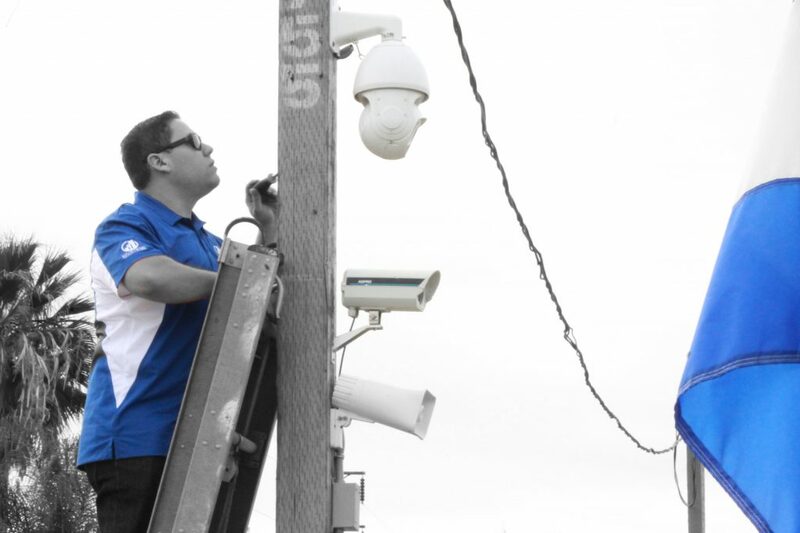 For more information on installing or upgrading your surveillance camera system contact Empire at (909)321-2570.